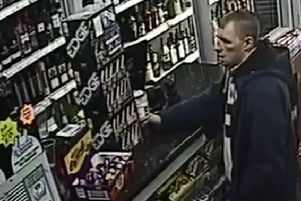 Police investigating a robbery at a supermarket in Sheffield are appealing for witnesses. Two men entered Sainsbury’s, on Bradway Road, Bradway at about 9pm on Thursday, January 8. They escaped with money after demanding cash from two members of staff. The men, both dressed in dark clothing, fled on foot along a footpath which leads to the back of the store and onto open land. Police want to speak to witnesses or anyone who has information about those responsible. Call South Yorkshire Police on 101 quoting incident number 976 of January 8, 2015 or alternatively, call Crimestoppers anonymously on 0800 555 111.